Great News! T-Mobile is giving away a free LG G Pad X 8.0 Tablet if you buy the LG G6 on an installment plan, however this offer is only for a limited time. You know the most amazing part of this whole thing, it is that you can also get a MasterCard with cash equivalent to the cost of the tablet, that means you would either get a free tablet or you get a MasterCard with $240 on it. Note that you do not get the free gift immediately you buy the smartphone, it takes about 6-8weeks after your purchase. 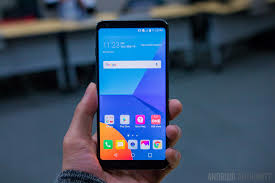 The G6 is priced at $26 for installment however you continue paying $26 monthly 24 times. This sums up to $650 but with the cost of the free tablet subtracted you would be left to pay only $410 for the smartphone.